This is a North African variety that is rarely found in cultivation. 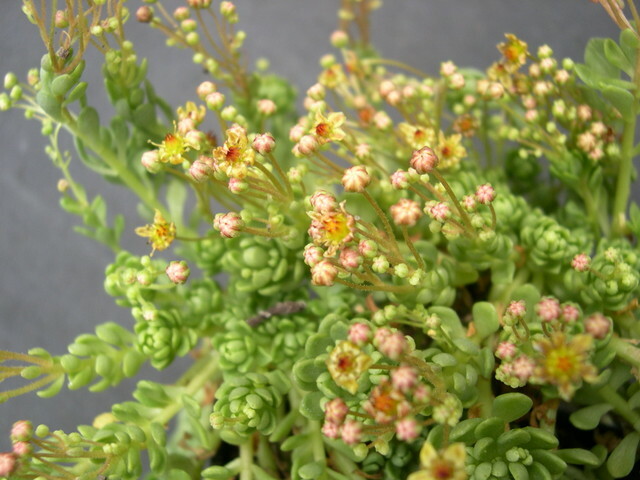 Rosettes of light green leaves form at ends of laterally growing stems that have spaced out leaves along their lengths. This perennial grows to 1 inch tall. Yellow flowers are borne singly on stems from April to June. Flowers fade to reddish shade.